Ferrari have chosen fewer sets of soft tyres than any team for next week’s Azerbaijan Grand Prix. and Charles Leclerc have each chosen two sets of the soft C4 compound tyres for the race at the Baku City Circuit. Rivals Mercedes have taken one more set for each of their drivers while the Red Bull pair will have nine each. Renault, McLaren and Racing Point have each selected 10 sets of softs for their drivers. 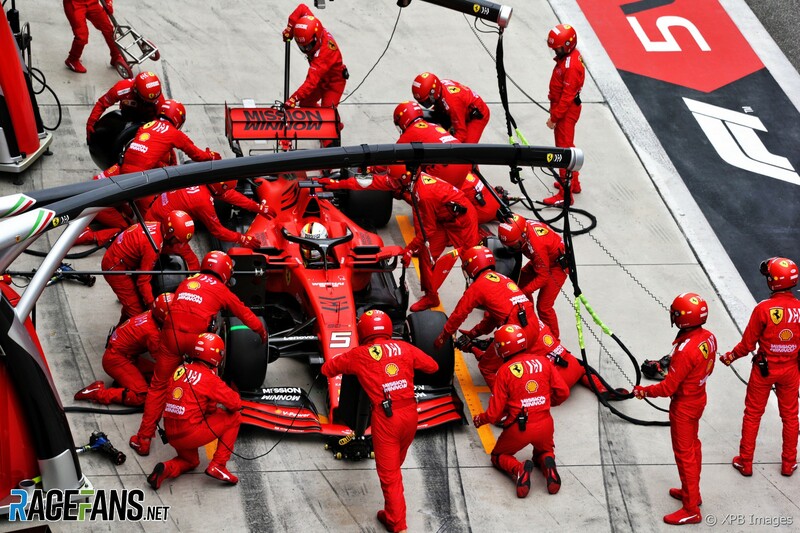 Ferrari has chosen more medium C3 compound tyres than any team, with five sets per car, while Mercedes has taken four sets for its two W10s. Last year’s Azerbaijan Grand Prix was won by Lewis Hamilton who pitted twice and used all three of the available compounds during the race.